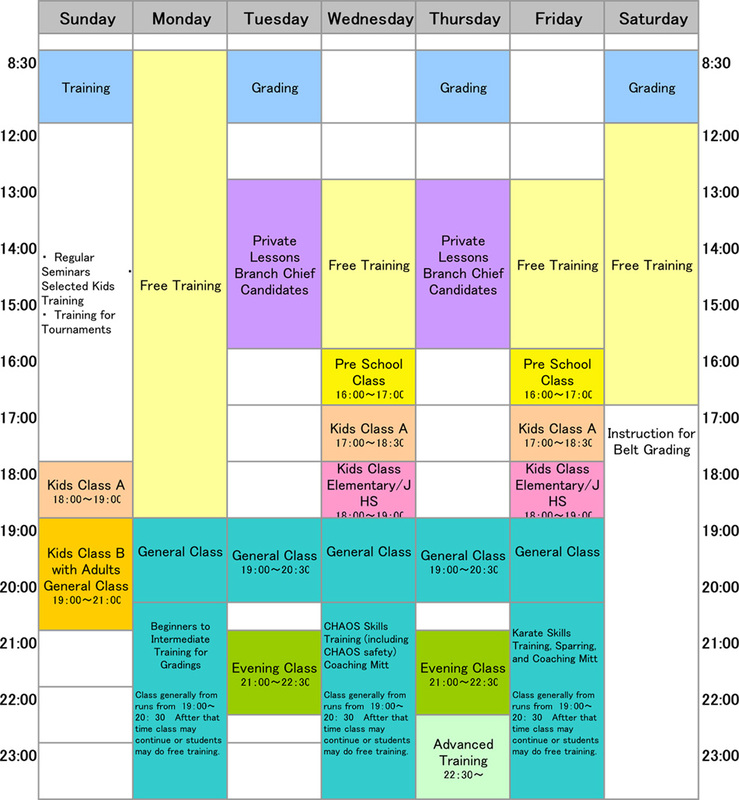 *Training on Sundays is at Mabashi Elementary School Gymnasium. The dojo is open between 12:00 and 17:00. - Training is held at the dojo from Monday to Friday. - Training is generally held at Mabashi Elementary School on Sunday. - Those who wish to may train with a coaching mitt in any class. - Weight Training is possible between 19:00 and 22:30. - Beginners will receive guidance and individual training programs. - Students may participate in as many classes per week or per day as they like. - It is possible to join in a class midway through. - Free training is allowed during times when no classes are scheduled. - Please contact a teacher in advance if you wish to do free training.